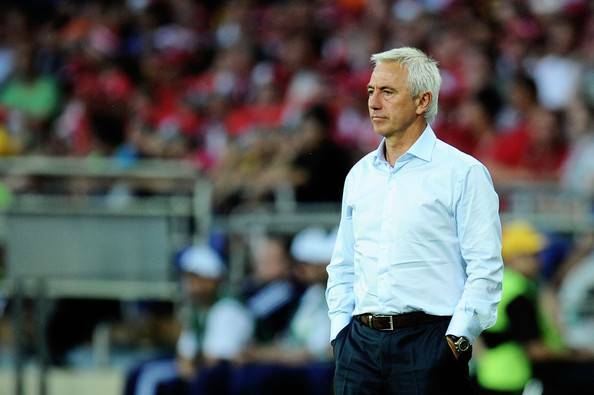 Footbal Federation of Australia (FFA) has announced the signing of Bert van Marwijk as new head coach, who will lead the national team in the 2018 World Cup in Russia. The 65-year-old Dutch tactician agreed to take over the Socceroos’ hot seat following Ange Postecoglou’s resignation in December. Van Marwijk previously led Saudi Arabia to World Cup qualification before leaving in September last year over a contract dispute. “This is a great result for Australian football,” FFA chairman Steven Lowy said in a statement. “He knows a lot about our team and how they play because he studied them closely as an opposition manager in the same [World Cup qualifying] group. These experiences make him a compelling choice. Van Marwijk, who has also coached Dutch club Feyenoord and Bundesliga sides Borussia Dortmund and Hamburg, will be third Dutchman to coach the Socceroos after Guus Hiddink and Pim Verbeek.